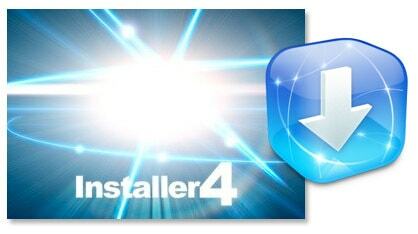 Ripdev.org proudly presenting you the new beta of Installer – 4.0b6. Search. It searches among packages from the repositories you have added, and, if you let it sit for 5 seconds, will query our server and return packages that are available from repositories you don’t have added (that we know about) with an option to automatically add and install. Repository owners, upgrade to the latest version of the repo code (below) to have your repository added to the search engine. Fixed a lot of locking issues especially with custom HTML info pages. Updated the Categories and Tasks icons so they are less ugly. Fixed a bug with multiple copies of Installer appearing in Installed Packages under some circumstances. Installer will now correctly check and prompt for an update of itself. What’s new in the repo code? Added an option to ping the Installer search server so it reindexes your repository. The ping occurs during regenerate.php run. Much better handling of ZIP archives, since this is what most people had troubles with. It now attempts to determine which way to use to unzip your files (PEAR::ZipArchive, zip_open or shell_exec(“unzip”)). Please note that we didn’t test zip_open piece of the code as we don’t have a server with that plugin compiled in PHP. DOMDocument::load() should work under PHP4. We hope. Slightly better handling of the multiple versions of the same package. How to upgrade? Simply replace regenerate.php with the new one, and add new configuration parameters from config.inc.default.php to your config.inc.php. There are two: REPOSITORY_URL, that should have a full path to your repo (with a trailing slash), and ZIP_CMDLINE_PATH (only add this if needed). Refer to config.inc.default.php for the descriptions and copy-paste goodness. Don’t forget to regenerate your repositories once upgraded, and also don’t forget to put 2.0.2 into POSSIBLE_FIRMWARE_VERSIONS array so people on the new firmware can see your packages!